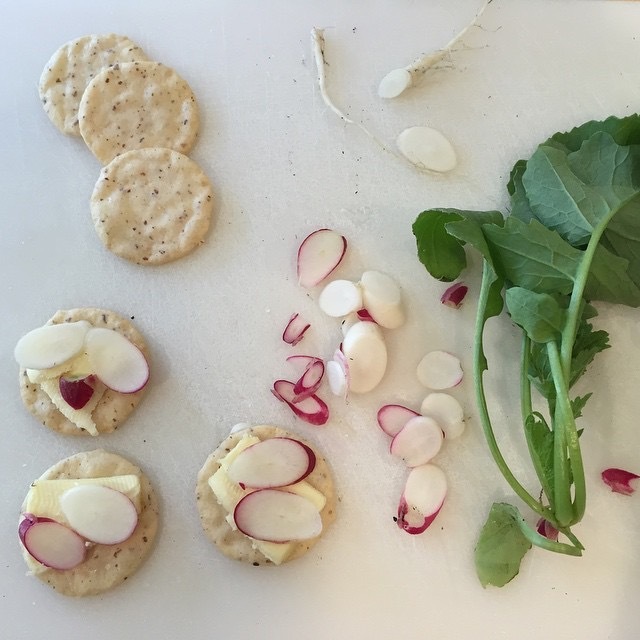 These are the first radishes my son and I grew. He told me they were delicious. I'm Kelly White. I practiced law for about a decade, and then I became a stay-at-home parent. As an attorney, I worked on fascinating, high-stakes civil and criminal cases. In my spare time, I created paintings, participated in art shows and sold my work. Everyone said that having a child would change everything, and it did change most things in my life. But it didn't change my messy desk. My desk (and work table) remain strewn with notes, plans, intentions, and works-in-progress. Family, food, and craft are where I focus these days. For each thing I learn, there are ten more things that I want to research or try.